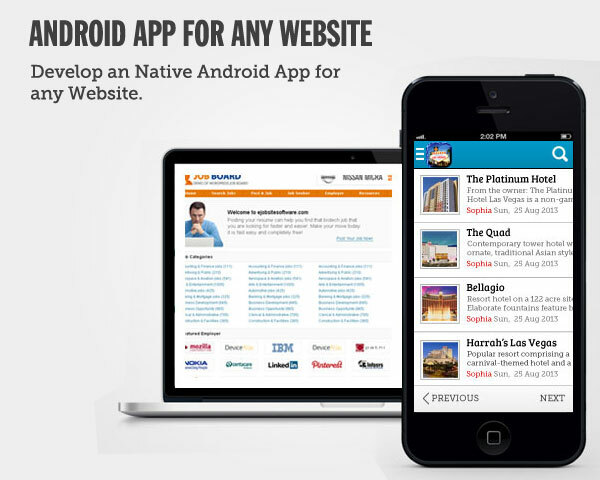 Develop an Android App for existing Website. The project includes design of custom icon and home screen and data input from existing website using XML feed. You can choose from our existing Templates or send us details of custom requirement. We are an Android Software Development Company that develops World Class Android Apps and provide Android based Software Outsourcing Services. Based in India, we design and develop high quality Android Apps for Business, Websites, Games, Videos, Wallpaper, Photography, Shopping Applications etc at an affordable cost. We have a team of Android experts that have latest skills and proven expertise in mobile application development, using Android platform. Over the past few months we have developed over 200 Android Apps for clients based worldwide. To request additional information on custom Android software development, please contact us.